As the kids fly out of the nest into their new homes you find yourself with a few empty rooms filled with their leftover belongings. It can be hard emotionally to dive in to organize your home, but this is the time when you can change the room or rooms into anything you want. The children will now only be visiting, so there is no reason to keep their things in the same place. Home organization can be overwhelming and exciting at the same time. 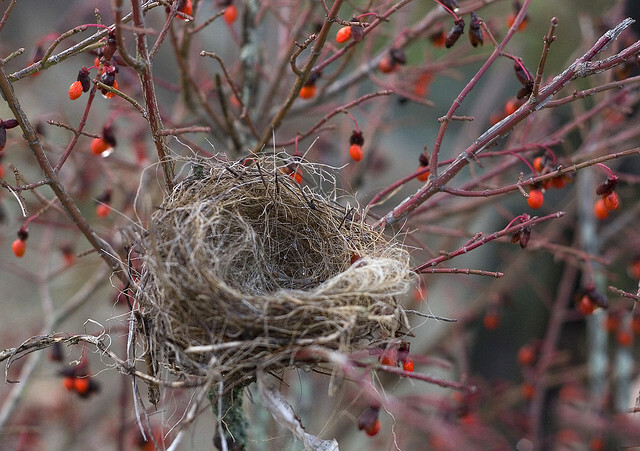 There are a few ways you can organize your life and your home as a new empty Nester. First, decide what you want to do with the room. You can turn it into a guest room, an office or just anything you want. It's important to talk with the child regarding your plans so they aren't surprised when they return home and their room is suddenly unrecognizable. Let them take what they want into their new place, too. You could even work on it together sifting through things if they want. Share with them what you would like to do with the room and even get their input. It's easiest to start organizing box by box. Usually a room accumulates so many things over the years, it doesn't just happen in a day! As you go through things decide what can be thrown in the trash, what you can give away to friends, what to throw in a garage sale and what you can give away to charity. Don't think of it anymore as the child's room, but your new exciting adventure. This will help you as you separate things to decide where they should go. Some things like old posters and dried flowers may seem nostalgic, but it's up to you and your child to decide if they are worth putting in a box where they may never see light again. You might find many things that just seem too important to throw away or give away, but neither you nor your child have room for in the new room for you and new place for them. Consider renting a storage unit where you can easily and affordably store the belongings. This is a great use of space as one day you or the child can access the things you might want or need at a later date. There are many different sizes of storage units offered, so whether you have only a few things to store or need to store an entire room of belongings, you can find the size you want and need. Home organization often leads to a storage unit so you can come and go, and change out decorations any time you need. It's time to reward yourself for getting your child safely out of the nest. Have a garage sale for the things you aren't storing or giving to charity. Take the money along with money you deserve to spend and decorate the new room with things you love. Paint any color you want, hang up beautiful pictures and purchase new furniture. The sky is the limit in your new nest! Being an empty nester can be hard at first as you say goodbye and slowly wade into new waters. It can also be exciting as you begin the new journey and get to fix things up the way you have dreamed for years. Home organization is all about stepping back and looking at the big picture then taking baby steps to achieve your dream. Image by Muffet and licensed through Creative Commons. Paul Benjamin works for EZ Storage, a self storage company. Their Detroit self storage facility has managers that live on-site to ensure your posessions are safe and secure.